King County Executive Dow Constantine has agreed to a debate over the construction of a new youth detention center on the Seattle Channel next month, he announced today. 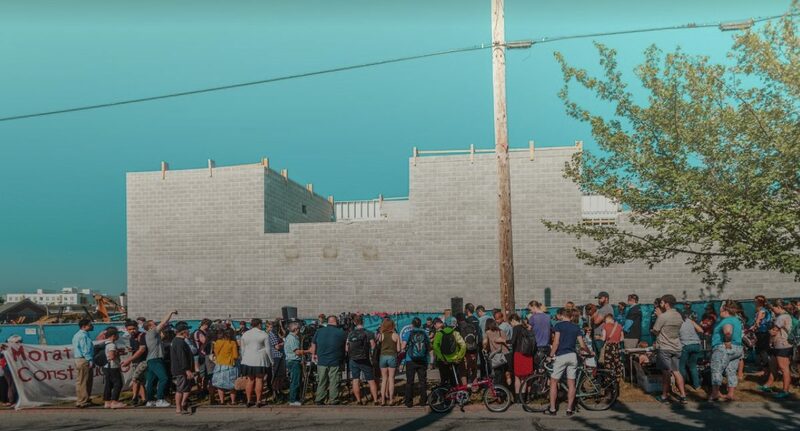 Constantine’s announcement came after weeks of pressure from local activists, who have blocked intersections and entrances to the new facility’s construction site over the last month. “I do not believe keeping kids in the current decrepit and disrespectful facility is the right solution,” Constantine said in a statement, acknowledging the letter activists sent him asking him to block the site’s construction. Constantine added that he does not support detaining youth in adult facilities, which is why he issued an executive order for youth sentenced as adults—under a statute known as “auto-decline” or “auto-adult”—to be housed with adults. Minors in Washington State weren’t sentenced as adults until 1994. That year, the Washington State legislature passed a law dictating that 16- and 17-year-olds should be tried in the adult court system if accused of committing a serious violent felony. In 1997, legislators added first-degree robbery and burglary to the list of charges that could place youth in the adult criminal justice system. According to a report by the Washington State Institute for Public Policy for the Washington State Partnership Council on Juvenile Justice, handling youth cases in adult court under this law is linked to an increase in recidivism. “While we complete the CFJC, we will continue to modify the new, smaller detention consistent with a public health approach to support youth and families before, during and after they are involved in the justice system,” Constantine added in his statement. The Seattle Channel has not yet announced who Constantine will be debating next month, but we’ll update when we know more.